The Rain God smiled, and instead of useless sprinkles, we’ve had decent heavy showers, bringing the total this year to just over 60mm of garden saving rain. 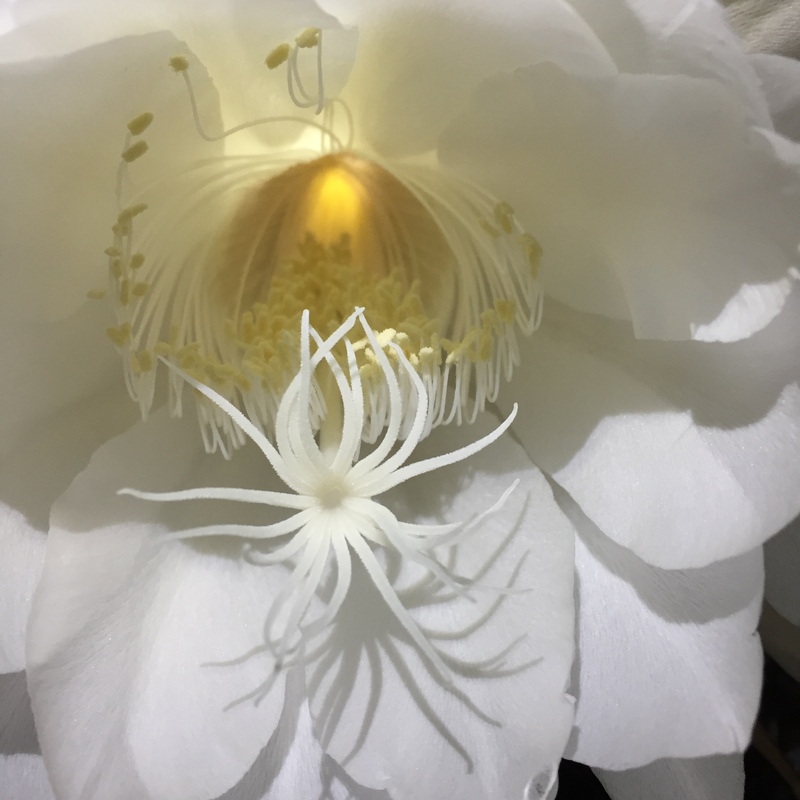 Almost as exciting as the rain has been my very first Queen of the Night flower. This plant is technically a cactus but doesn’t seem to have a problem with Bellingen’s bouts of extreme humidity. 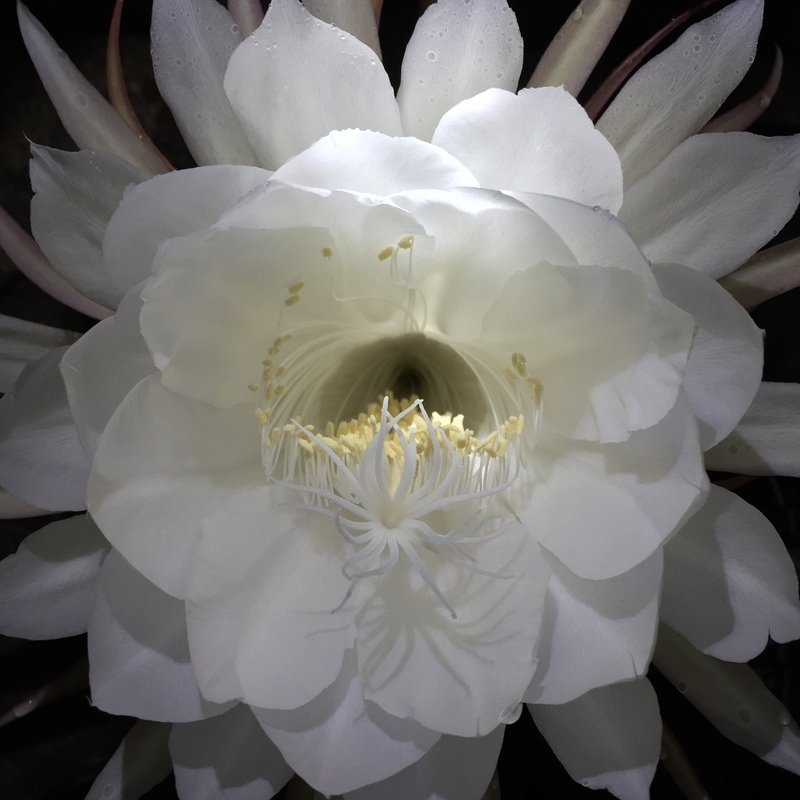 Each flower lasts for just one night, so if you forget to go out after dark to check, you miss it completely. 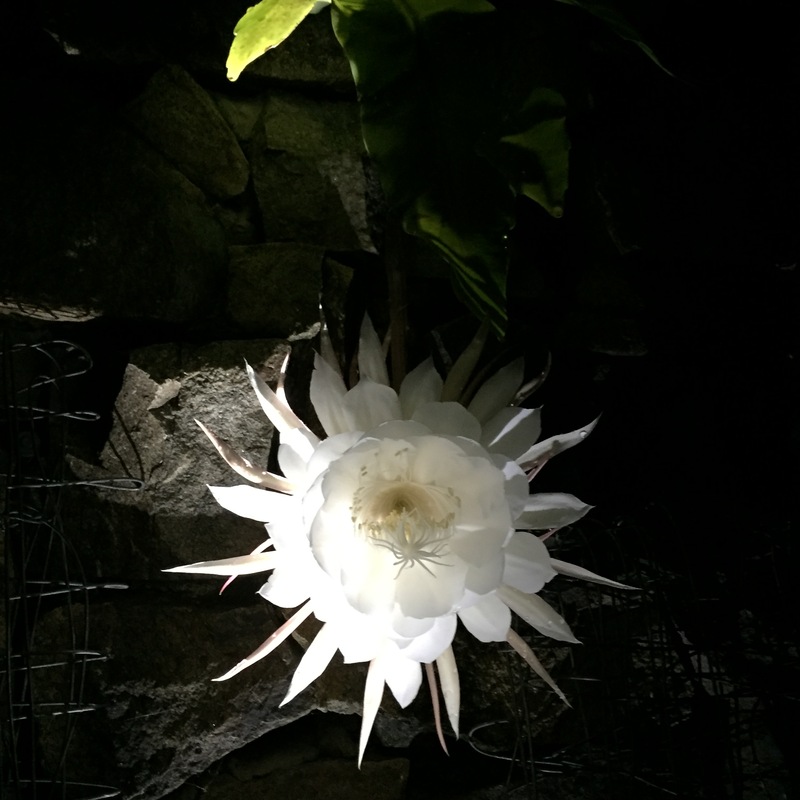 This must surely be one of nature’s most spectacular flowers and well worth a nocturnal walk. 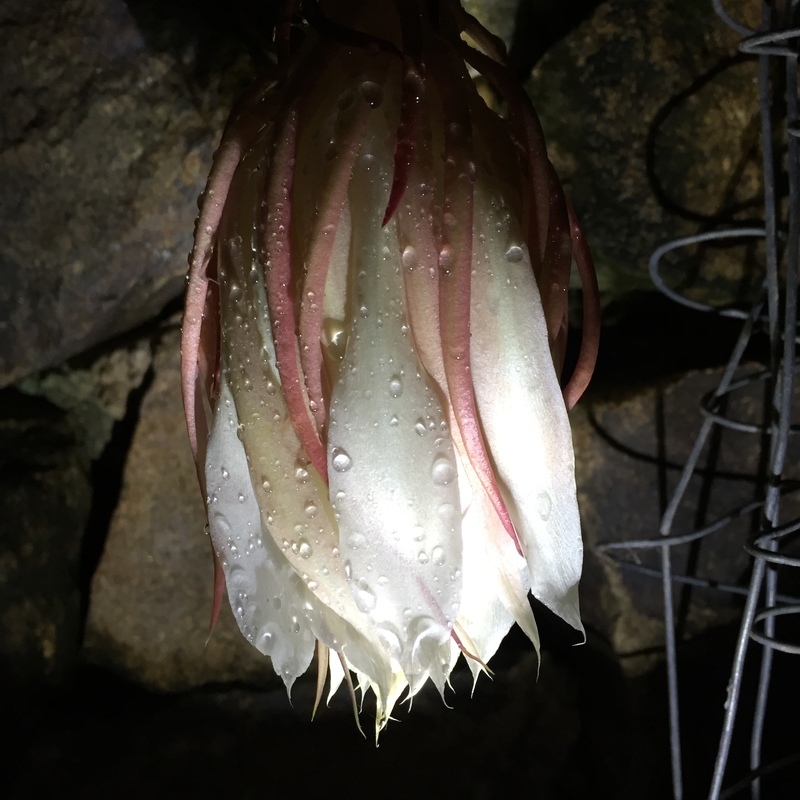 These photos were taken with a torch and an iPhone in the drizzle. With the proper photographic equipment you’d be able to see just how delicate and impressive the flowers are. The next morning it’s all over, the flower has closed, and that night it starts to shrivel. Previous World’s Smallest Bananas ? 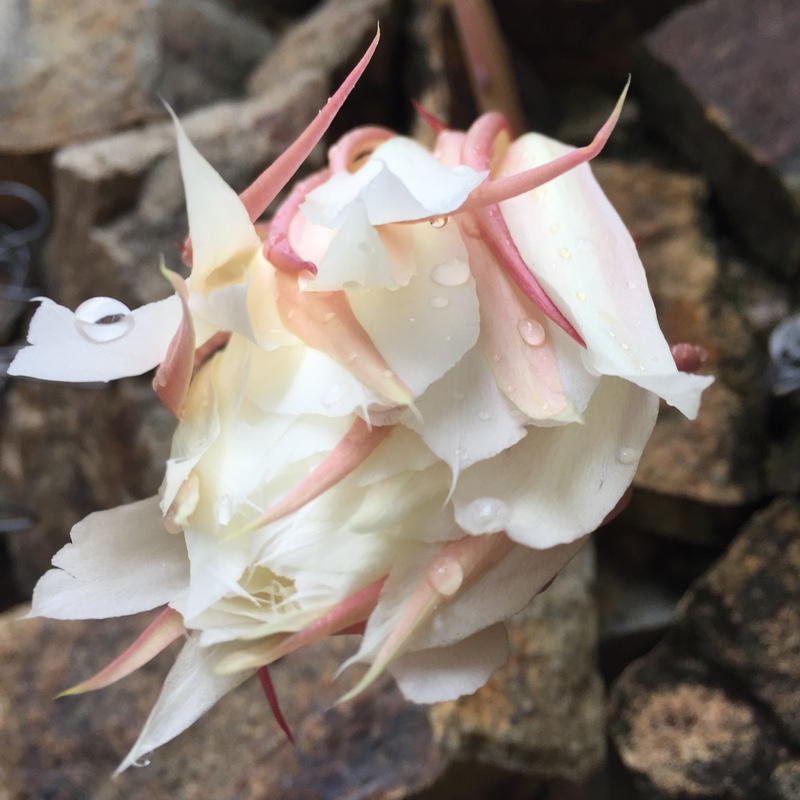 What a stunning flower – and what photos -move over, Georgia O’Keefe! Well I’m a long way from being Georgia O’Keefe, but next time it flowers I will be more prepared. 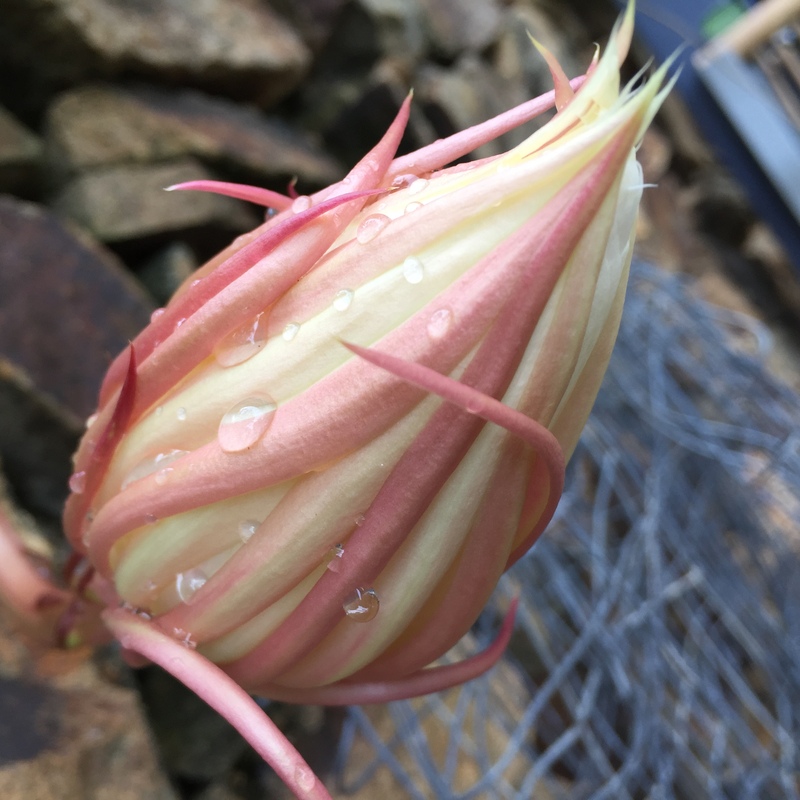 Yes stunning – and I will be waiting patiently until next time it flowers and hoping for more blooms.